Cool Beans Coffee has been a favorite South Hill coffee drive through for quite some time. Their stand serves up fresh coffee, espresso drinks and so much more each day at 4408 S. Regal. Guests also can find retail coffee, Isagenix products and a friendly fast barista staff so it makes total sense the business would be growing. Cool Beans Coffee recently announced they will be opening a new location , at the former Cuppa Joe's space at Appleway & University near U City is Spokane Valley. 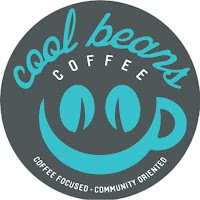 Cool Beans will have both locations open and both will similar menus. But the new Valley location will be a bit improved. I'm told they will have more food items as this new location has something the South Hill store does not. And, that's an indoor coffee shop space in addition to a drive though. They hope to have the drive though at the Valley location open later this month and the indoor café area operating probably about the middle of next month.